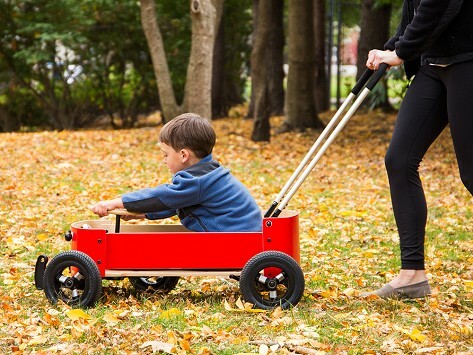 Your kids can ride in three different styles in Wishbone’s 3-in-1 children’s wagon. Comes with a removable handle to push or pull, or convert it to a steerable soap box-style racer. Plus, through a hatch in the wagon’s floor, kids can self-propel with their feet. Real inflatable tires (instead of plastic wheels) make for a rugged ride. Dimensions: 32" x 25" x 15"
Wishbone’s toys use materials that are selected to be sustainable, durable, and lightweight. 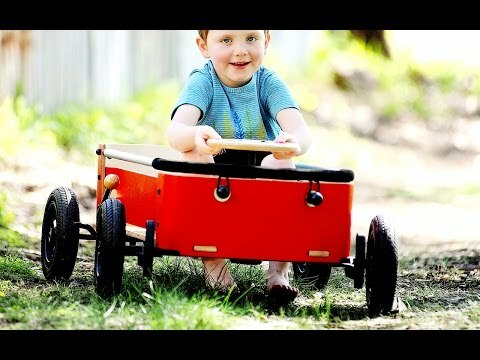 It’s part of their commitment to making innovative toys that kids can push, pull, steer, ride . . . and grow with.